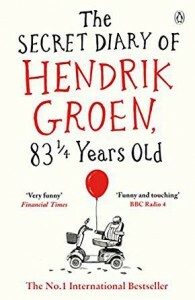 The Secret Diary of Hendrik Groen, 83 ¼ years old-Hendrik Groen, author. This is a very tenderly written epistolary novel written with a subtle humor. Hendrik Groen lives in a nursing home in the wing for independent seniors. His friend Evert lives in his own apartment in the same facility. His dear friend Eefje lives in the same wing as Hendrik, and she has had a positive effect on his life and he on hers. They have a deep and comfortable friendship that keeps growing until the consequences of life intervene. Hendrik has made a decision to keep a diary for the year 2013, to let people get to know the real Hendrik Groen through his private entries. His daily posts are heartwarming comments are genuine, alternating, at times, between melancholia and wit, depending on the events of his day. During the year of 2013, he turns 84 and expresses a hope to be around a bit longer, but realistically, he knows that his days are numbered and chance plays a big part in his continued presence in the world. As his entries reveal what life is like for him and for the other residents, in this sterile institution, it also reveals how the residents look upon their own lives. Their moods and ideas run the gamut from hopefulness to hopelessness. They have dreams, although they have little to hope for, they have fears, although they have little control of what is coming their way. Some of the elderly make the most of every opportunity, facing everyday optimistically; some face the future with dread. Some don’t venture outside for fear of what the future will bring. Some have decided to behave in anyway they please since consequences have little effect on them so late in the game. They may even take risks. When a small group of residents decide to form a group called The Old But Not Dead Club, planning bimonthly mystery outings, it gives them a purpose they had not had before. It gives them a reason to go on living. However, this tight knit intimate group of friends is causing angst in the world of other nursing home residents because they resent the fact that they were not included in the group, not asked to join in their fun. Each of the actual members of this group has his/her own distinct personality ranging from cantankerous to compassionate, but they all get along regardless of their different ways of approaching life, because they all like and respect each other, and they all enjoy being with each other. They accept each other’s little idiosyncrasies and forgive them their little lapses. As the friendship between Hendrik and Eefje grows, his nature begins to soften; he is so comfortable with her, whether or not they speak or stay silent. They tolerate each others differences and enjoy each others similarities without judgment. For Evert, she becomes an important stabilizing part of his life, a part that brings him joy and contentment, a part that inspires him to continue to live and participate in life rather than sitting by a window and vacantly staring outside at the lives of others. He begins to take greater chances, buys himself a scooter and wishes he had done so sooner since it opened up the world for him. He accepts his need for a diaper to keep his hygiene up to snuff rather than fighting the inevitable. He begins to make plans to do things and to care more about each member in his growing group of friends. When some of the members begin their decline, he is kind and considerate, doing what he can to help them. He investigates ways to help Grietje deal with her Alzheimers and Evert to deal with the loss of a limb. He walks his dog for him. When Eefje is ill, he reads to her and gets her an ipod so she can listen to music. He visits her daily, sometimes more than once. However, he still continues to make a conscious decision to live out his own life and not give up, albeit with the help of Evert who puts iron in his back. Evert convinces him to stop wasting his time, convinces him to decide, move on or give up. He decides to continue to live each day to its fullest. Evert, on the other hand, is determined to make as much mischief as possible until the end of his. How bad can the consequences be? The book deftly handles the inevitable issues that will arise in a home for the aged. Old people are in a state of decline that will never improve, but instead, will steadily get worse. Some will become physically ill; some will have strokes, falls or other mishaps, while others will sink into the world of mindlessness, dementia or Alzheimer’s. Not all will follow that road, though. Some will live out all their days, self aware and healthy until their last breath. The trick is for the resident to keep on hoping, keep on doing, to keep on creating encouraging ideas, to keep a stiff upper lip and an optimistic view. The trick is for the residence management to provide that atmosphere for them. As the residents are subjected to the bureaucracy that controls what they can and cannot do. They are subjected to the slings and arrows of life. Some handle them more delicately than others. Some are dignified and some behave poorly. Some rail against the end of life and some appear to welcome it, preferring to choose the time of their death. None, however, wish to die in pain or in a vegetative state. Laws and the powers that be will often prevent their merciful release, however and will often take away their power to decide for themselves, and instead, treat them the way they once treated their own children, guiding them in the direction they thought was best. These are not children, however, and many want the right to decide things for themselves. Once they are able to taste that feeling of freedom that they once had, they are less afraid to face the future, and they are far happier. I chose to read this book in small increments to enjoy the pleasure from it in small doses. I kept it on my nightstand and simply picked it up at will, reading a few entries at a time to put a knowing smile on my lips. None of us, if we are lucky, will escape the aging process, but we all need to deal with it. Hendrik’s diary lays out our options for us, clearly. He seems to come round to the theory of a friend of mine, someone with troubles galore, who announces to all that she has a choice to be happy or sad, and she chooses to be happy. I think that the year 2013, was the year that Groen chose to be happy, to find hope and opportunity where it presented itself and to deal with life’s foibles, great and small, gracefully. It is a lifestyle he hopes to continue as long as he can. He will continue writing in a diary. It was heartwarming to witness the way he cared for those in greater need than himself and to read about the way each of the friends and residents rallied around each other when the need arose, providing comfort and care as necessary, although there was the curmudgeon or two that defied that image. In my research, I discovered that Hendrik Groen, the author’s name, is a pseudonym for Peter de Smet, a Dutch author who does not seek fame, ergo little is known about him. He is not a resident of a senior home, and this is not his diary. In his words, “Not a sentence is dishonest, but not every word is true.” Yet he has authentically captured the feelings of the elderly, their dreams and hopes, their stress and disappointment, their fear and their frustration. 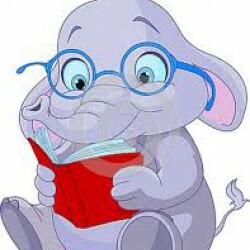 The book presents Interesting topics for discussion in a book group. Groen illuminates the real degradation and debilitation that aging causes and also illustrates its effect on the elderly as their lives diminish in size and scope. Opportunities and possibilities no longer exist as they used to when youth prevailed. The formation of the group that conducted twice monthly trips was literally a “lifesaver” for these elderly residents because in spite of the dead end that they all faced, they all had hope to live, and more importantly, to enjoy another day. The right to die would be an interesting topic for discussion as is the availability of services for the elderly who sometimes outlive their money because they lived a lot longer than they expected. The elimination of services for them because of cost cutting is traumatic for them, but inevitable when others deal with it. They think they will die anyway, so why waste money on them. The bureaucracy that interferes with their quality of life, the rules and regulations that control their ability to be independent because of a fear of accident and litigation is also an interesting topic for discussion. Everyone goes down this road; everyone needs to address the concerns raised in this book. Although it is told with tremendous warmth and humor, it is also very heart wrenching as the residents succumb to the inevitabilities of life that aging brings to them, from diapers, to lack of mobility, to slower reflexes and forgetfulness, to mention a few. Losing friends forces them to deal with a constant overlay of sadness, forces them to face the path open to them from independence to dependence, to deal with the depression and a desire to try and control what is left to them, of life. Unfortunately, regulations interfere with their quality of life on all levels. Where they used to make their own decisions, others step in to make the decisions for them, often decisions they disagree with but are helpless to change. Aging brings helplessness to its victims and it is a constant effort to find ways to bring back strength and control to their lives, to bring back hope.